Used to be that you'd look far and wide in vain to find a funny, heartfelt chapter book set in another continent, especially one featuring a boy. That's why I'm so excited to recommend THE NO. 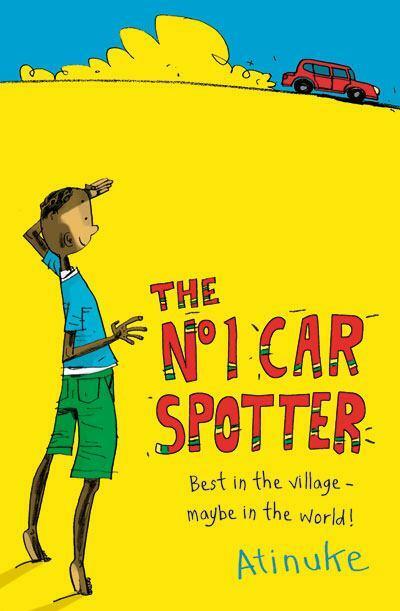 1 CAR SPOTTER series by Atinuke, the story of a delightful lad growing up in a small African village. First published by Walker Books in the UK, these early readers and fantastic read-alouds are published in the U.S. by Kane Miller. Oluwalase Babatunde Benson is known as "No.1 car spotter" by friends and family because he can identify every make of car that goes by on the busy road that passes the village. Divided into four self-contained chapters, this first in a series by Atinuke (author of the Horn Book honoree ANNA HIBISCUS series) chronicles No. 1's everyday adventures, from serving customers at Mama Coca-Cola's roadside stand to (unwittingly) helping his father find a new job. "Atinuke has a Beverly Cleary–esque gift for depicting daily-life details with both humor and authenticity," says the Bulletin of the Center for Children's Books. "A great, almost necessary book and one that you’ll be delighted to discover," says librarian Betsy Bird, blogger for School Library Journal. I wholeheartedly agree. Betsy also adequately defends Atinuke's decision to set the books in a village somewhere in "Amazing Africa," instead of specifically in Nigeria.